While I have been near Lago Maggiore in Ticino, the Italian part of Switzerland, I have also been going up the stream of one of the rivers – leading into the Verzasca Valley. And by “going” i mean “driving”. 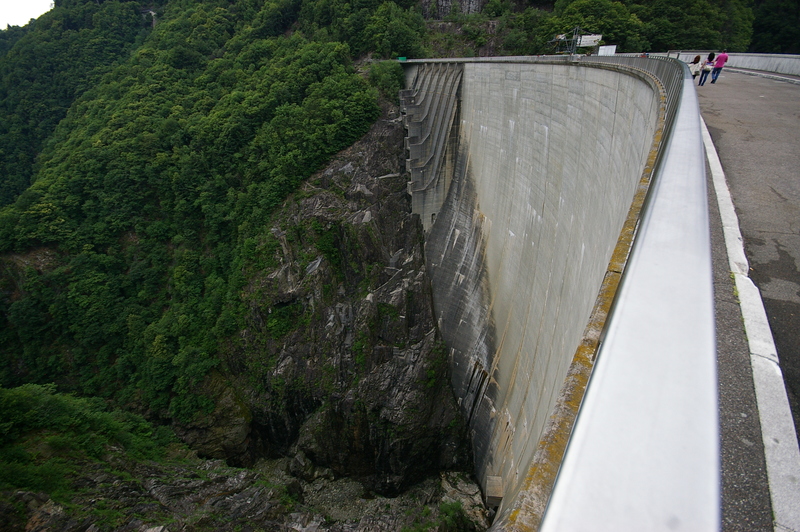 Anyway… After a while you find yourself in front of a cement wall: the Contra dam. Wait a second, I know that sight: From this dam James Bond took his famous bungee jump in Goldeneye! In fact you can even do the jump yourself if you dare. Even though i just posted all those adventurous things i would like to do some day, bungee jumping was not one of them.